Hemp seeds can be eaten raw, sprouted, or ground into a paste and added to foods. They have a nutty flavor and can be consumed as a healthy mix with other grains, seeds, dried fruits and nuts. The seed is almost as rich in protein as soy; this protein called edestin matches the protein content in human blood. Further processing of the seed produces items such as whole grain, baking flour, protein powder, oil and hemp cake, a byproduct of the oil extraction process. 80% of the oil from the hemp seed is essential fatty acids (EFAs), including omega-3 and omega-6. It is recommended to consume 1 tablespoon / 15 milliliters of hemp oil per day to meet the nutritional needs of the body. Non-dairy milk and milk products are obtained from hemp, with nutritional properties similar to soy milk. Tofu, organic cereals and nut butters can also be made of hemp, while the fresh leaves of the plant are used in salads. The range of body care products made from hemp oil includes face creams, body butters, soaps, shampoos and conditioners. This oil contains a lot of omega-3, omega-6 and omega-9 fatty acids that give the skin its much-needed nutrients and offer biochemical and therapeutic effects for the body. The mineral oil in petroleum-based cosmetics cannot achieve the same result, since it comes from fossilized or dead carbon and does not have any regenerating properties. Hemp oil can slow the natural aging process of the skin; its moisturizing and healing benefits are used to cure various skin problems, especially psoriasis and eczema. It induces a healthy growth of hair, leaving it with a shine and bounce. Hemp oil-based creams can be topically applied to fight acne and reduce scars. It is also found in lipsticks. Paper is made from the pulp of the long, strong hemp fibers. These grow under the bark of the dried hemp stalk, on the outer surface of the woody interior. The first hemp paper mill opened in 1818 in Saint Petersburg, Russia; the paper produced was used in bank notes, stocks, bonds, postal stamps, watermarks and other official documents. Hemp paper is more durable and recyclable than tree-based paper and does not need bleaching. Today, it is most used in cigarette paper. Grown over the same piece of land, hemp would produce 10% more fiber than cotton or flax. The bast fibers of hemp are very strong and their length varies from 0.91 meters / 3 feet to 4.6 meters / 15 feet. These hollow fibers help in regulating body temperature. They also have anti-microbial properties and are not prone to mildew. This makes hemp fabrics useful in clothing, upholstery, bedding and medicinal bandages. Hemp is a great material for diapers because of its softness and absorbent power. Due to its strength and durability, it is used to make canvas for the sails of ships and rope. Hemp sacks are almost as good as those made from jute. Hemp fiber can also be converted into trendy shoes, bags and even jewelry. The hemp plant undergoes fermentation to produce methanol and ethanol fuels. Biodiesel, also referred to as hempoline, is obtained from the oil extracted from its seeds and stalks. These bio-fuels are cheap and efficient in automobile usage, and they do less harm to the environment than other fuels. They offer a renewable source of energy as a worthy replacement to fossil fuels. Plastics contain cellulose and hemp has the highest cellulose content among all plants. In 1941, Henry Ford built a revolutionary prototype car from hemp and soybean plastic. Automobile panels are made of a composite consisting of fiberglass, hemp fiber and flax. Nowadays, car parts made of 100% hemp are also available; in particular, the interiors of car doors and the automobile glove box. The hemp biocomposite material is as strong and durable as fiberglass, but lighter and safer. It is stiff, has a high heat tolerance and is a flame retardant. In kitchens, sink basins are made of the hemp composite. This material is recyclable and thus a eco-friendly alternative to plastic. The short inner fibers of hemp are called hurd; these are combined with lime to give a material that is commercially known as Hempcrete or Isochanvre; though this material resembles concrete, it is half its weight and thrice as elastic. Hempcrete blocks are used as an insulating material and to control moisture. A building made with Hempcrete blocks will remain warm in the winter and cool in the summer. Although this material is strong, its blocks need to be reinforced by a frame of steel, brick or wood to be used as structural elements in construction. They are not as brittle as concrete and do not need expansion joints for stability. Another good use of hemp is for sound-proofing walls and ceilings of buildings, since it has acoustic insulation properties. Fiberboards are made of the long bast fibers of hemp. They have much more strength and resistance to insects and fire than fiberboards made from wood chips. Great article about industrial hemp! The time is nearing for true growth of the hemp industry in the production of hemp fiber, hurd (core), dust, and seed (grain or oil) for the food, building materials (hempcrete, insulation, fiberboard, etc.) animal bedding (equine/horse, guinea pig, poultry, etc. ), clothing, bioplastics, etc. industries. More information about hemp for grain and fiber, especially in the USA, can be found on the Hemp Industries Association website at (http://thehia.org), Nutiva website (http://nutiva.com), Manitoba Harvest website (http://manitobaharvest.com), Vote Hemp website (http://votehemp.com) or American Hemp website (http://americanhempinc.com). 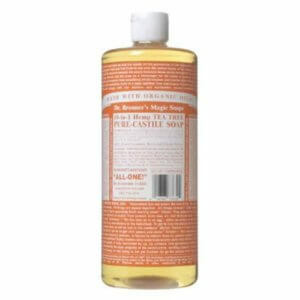 Dr. Bronner's Magic Soaps Pure-Castile Soap can be used for so many things! As the top selling natural soap in the U.S., this soap is vegan, made with organic oils, and 100% biodegradable. Nutiva Organic Hemp Protein tastes delicious and is fantastic source of protein for athletes and smoothie-lovers. 100% Raw Certified Organic Hemp Protein Powder. Fibers needed to make rope, textiles, and other materials were in such short supply during WWII, the U.S. government temporarily re-legalized hemp cultivation so American farmers could grow it for the war effort. Although the government allowed more than 350,000 acres of hemp to be cultivated during WWII, the U.S. experienced no increase in marijuana use during that period. By buying hemp products, you are helping the world work towards a more sustainable future. Hemp can be made into practically ANYTHING. Hemp foods is packed with nutrition. Hemp is not just good for us on the inside, but on the outside, too. Not only can we benefit from hemp nutritionally, and as a beauty aid, it's also beneficial from an environmental viewpoint. From paper to clothes, from construction materials to even building cars, hemp is literally a miracle crop. Spread the word!